Fritz Villafuerte | Badudets Everything Nice! 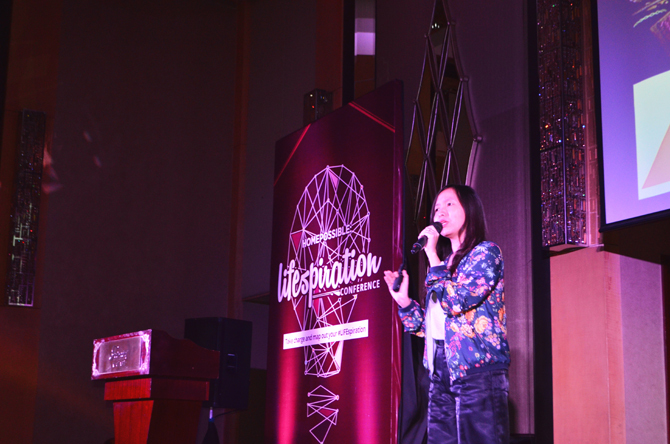 Staying true to its tagline, Inspiring Lives, Avida Land recently held the Homepossible: Lifespiration conference at the Fairmont Hotel, with speakers inspiring the audience to look at life with a fresh and realistic perspective. It was not just about inspiring the audience with the glossy aspect of their journeys, but also preparing their expectation of the real challenges that may arise. But first, let me ask you what is your idea of a “dream life”? A lot of you might think of one word, “success”. But success is vague and subjective. Others measure success with how much money you earned, while others measure with how much stamps you have in your passport. Personally, my dream life is to be able to secure my family’s future while still enjoying life at present. I don’t need that much money, just enough for my child’s education, for paying our bills, and a little extra for simple pleasures in life (fulfilling our wanderlust). My dream life is a simple balanced life. Homepossible: Lifespiration is a reflection of the lifestyle that Avida Land offers in its various projects – a lifestyle that strikes the balance between work and living life, including pursuing passions. Let these thought leaders help you gain fresh perspectives to get your #LIFEspiration on track.